We are always proud of our Lions. Every year, we see students reach their potential and show the world who they are as individuals. They are first and foremost students, but our Lions are also stellar in other aspects of their lives! We are so proud of the following students who signed their letters of intent to the universities of their dreams! Congratulations! 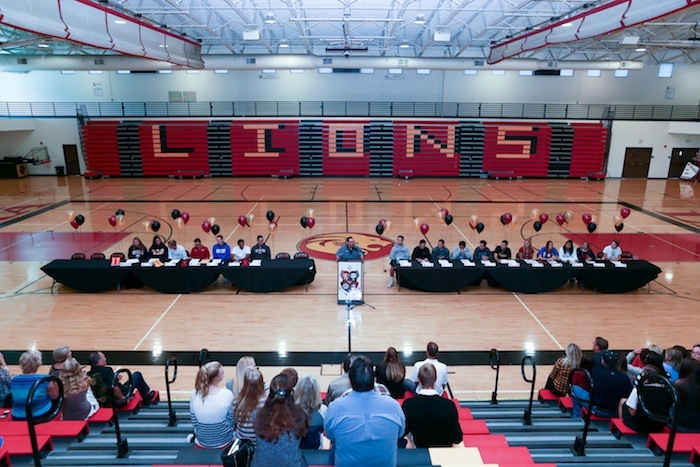 Always remember that everyone at JSerra will be rooting you on in your future endeavors. We know you will make us proud! 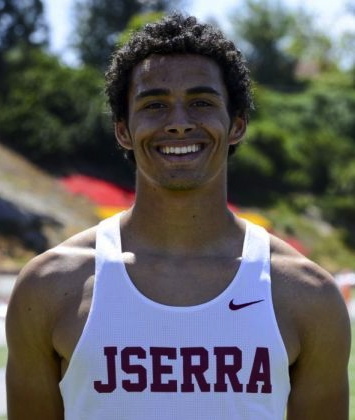 Congratulations to three-sport athlete Dante Pettis for being named as OC Varsity’s Athlete of the Week. The versatile junior was the only county athlete to win two individual titles at the Orange County Championships. Pettis won the long jump (22-8¼) and returned later in the meet to win the 200 in a time of 21.84. Pettis is the current county leader in the 200 and has the county’s best long jump mark of the season under all conditions. 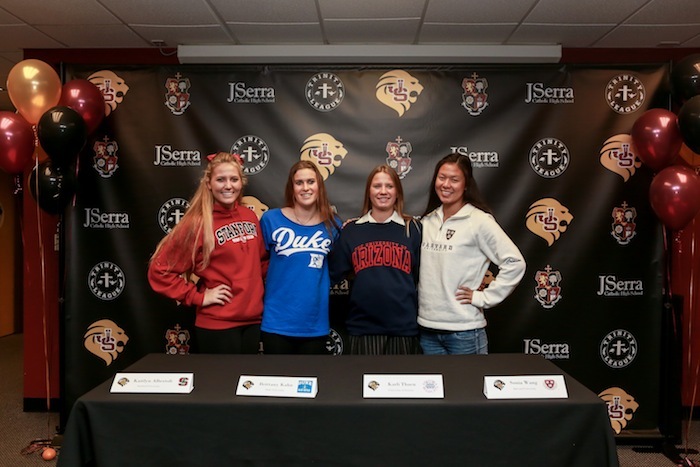 JSerra athletes commit to play collegiate sports in Basketball, Soccer and Football. August Touchard a guard for the Lions, committed to play basketball at Grand Canyon University. 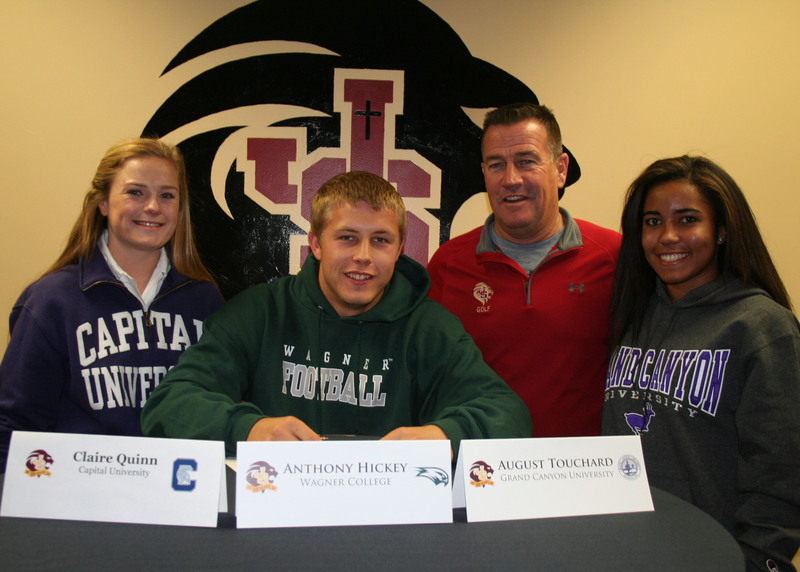 Senior Anthony Hickey, a defensive lineman signed his letter of intent to play football at Wagner University in New York. 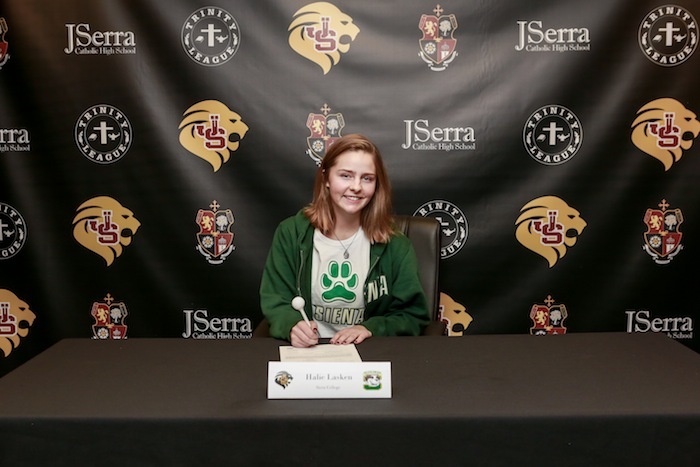 JSerra girls soccer also had Claire Quinn commit to play at Capital University of Ohio. 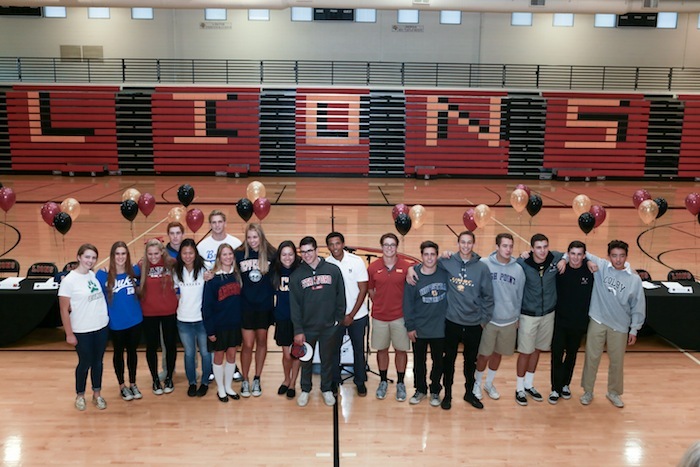 Turning a decade old, JSerra Catholic High School has grown into one of the region’s top university preparatory institutions. Its graduates include National Merit Scholarship winners, Ivy League university students, Division I collegiate athletes and young adults committed to being a positive force in their communities. Located in San Juan Capistrano, the school features $110-million facilities, including a state-of-the-art $40 million athletic complex. 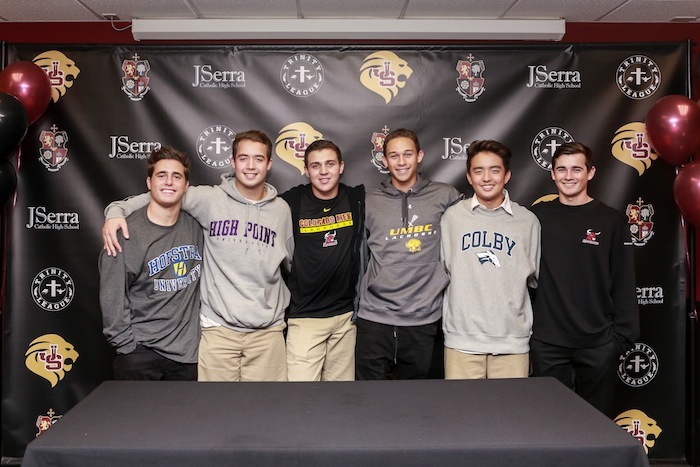 For more, visit www.jserra.org. Season highlights: Miller was the OCVarsity.com freshman of the year last season and this season she moves up to first-team All-County after a sophomore year that saw her lead the Lions to a second-place finish in the Trinity League, the CIF-SS Division 4AA semifinals and the CIF Southern California Division 4 regional semifinals. She terrified opposing teams when she got hot from 3-point range. She had five games with four 3-pointers or more. 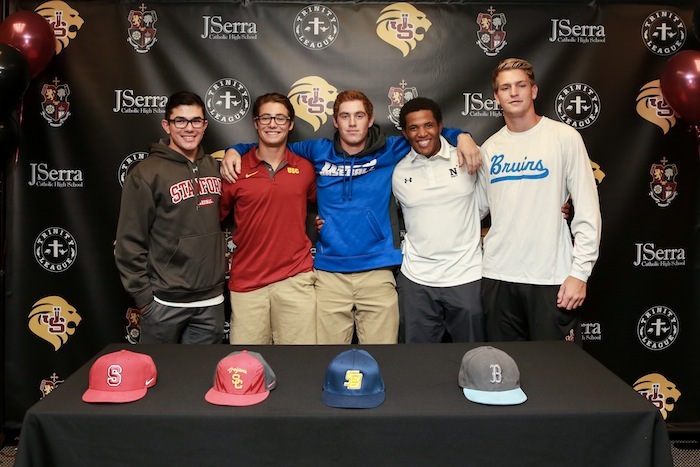 JSerra played one of the toughest schedules in the county and Miller performed against all of the top teams. She scored a county-high 632 points. Notable: Miller was the MVP of the Vernie Ford Classic and she made first-team All-Trinity League. 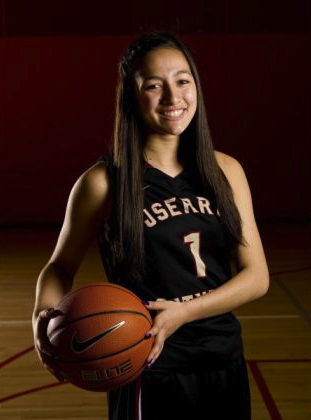 Point guard August Touchard is the lone senior on JSerra’s girls basketball team and she plays like she doesn’t want her season to end. The rest of the Lions followed their team captain’s lead and defeated St. Paul of Santa Fe Springs, 55-32, to advance to the CIF Southern California Regional semifinals for the first time in school history Saturday at JSerra High. It was another gutsy effort by Touchard, who hit her head on the hardwood after taking a hard foul and injured her calf in JSerra’s 60-52 victory over Mater Dei of Chula Vista in the first round. Touchard, who got worked on by a trainer immediately after the game, showed no ill effects from the injury the way she harrassed opposing players on defense, forcing turnovers that led to fast-break opportunities for the Lions. She finished with 11 points, six rebounds and six assists. 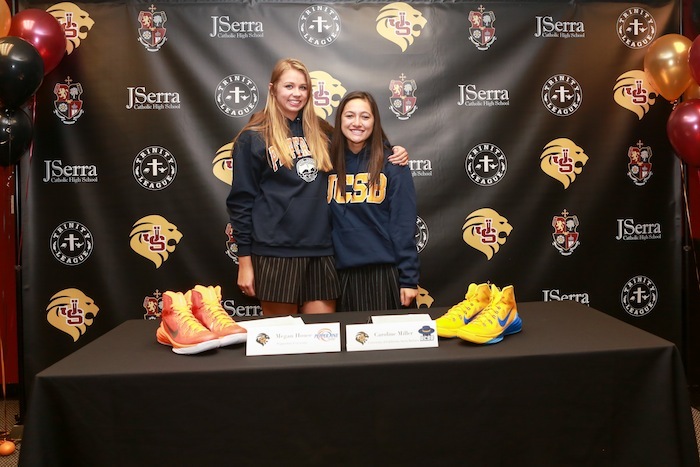 Sophomore Coco Miller had another strong performance, finishing with 24 points, seven rebounds and three assists.Courtney Vaccher had 12 points, eight rebounds, two blocks and two assists to help JSerra’s cause. 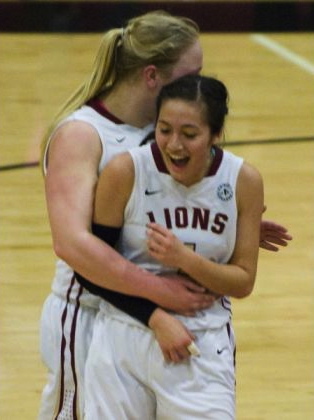 For photos, updates, and more visit the Lady Lions on Facebook. That shooter he was referring to was JSerra sophomore Coco Miller, and nobody from the Crusaders was able to stop her. Miller finished with 26 points, including four 3-pointers, five rebounds and four assists, to help the Lions defeat Mater Dei, 60-52, in the opening round of the CIF Southern California Division 4 Regionals on Wednesday night at JSerra. JSerra (24-7) avenged a 69-66 overtime loss to the Crusaders (20-7) earlier this season. The first half went back and forth, but the Crusaders had a 28-27 lead at halftime after Kandiss Barber’s breakaway layup at the buzzer. 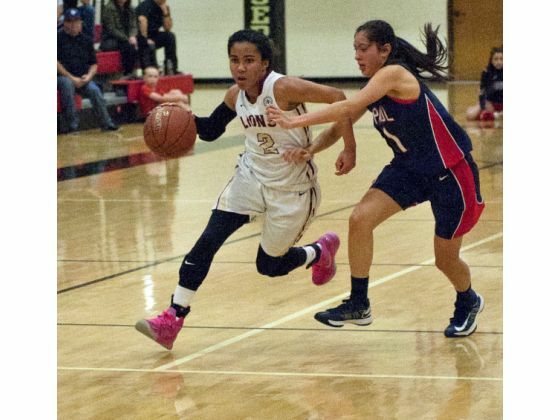 JSerra was able to build a six-point lead heading into the fourth quarter, and Miller sealed the victory with seven points in the final quarter. JSerra point guard August Touchard turned in a gutsy effort. She injured her head and her ankle but never came out of the game, and she . “I knew I had to step up especially when August got hurt,” Miller said. 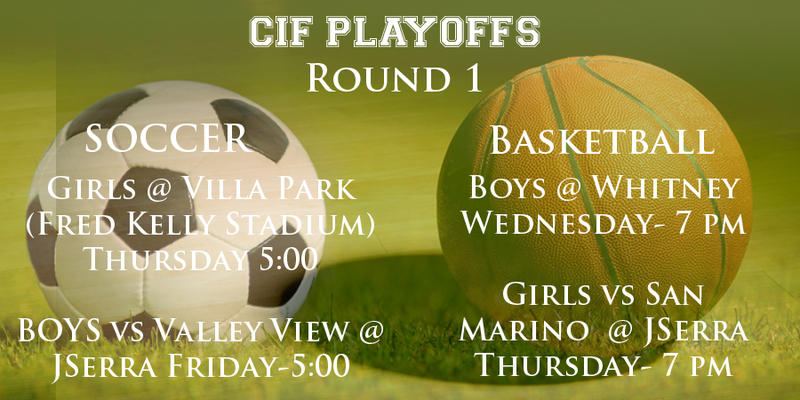 Join the JSerra Lions as they enter the first round of the CIF Playoffs for our winter sports season. Check them out on Facebook to get all the details, photos, and more.